Every year the top paint manufacturing companies come out with their favourite colours of the year, and us at Hotshot Construction always take note for both the interior painting trends and the exterior painting trends. But this year we thought we would collect all of them in one place and release them to our clients and future clients for Calgary painting. 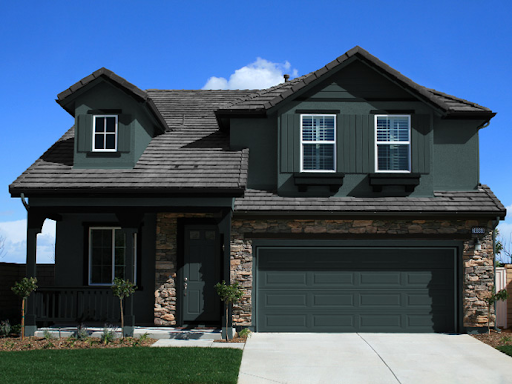 Familiarity with the painting trends is especially helpful if you’re in the marketing and looking to buy or sell a home. If you’re looking to list some property, then the right interior and exterior colours will help you fetch a higher price. Likewise if you’re buying, any outdated colours can be used in your negotiations to bring the price down. Night Watch (DLX1145-7) is a versatile, deep green derived from last year’s black trend, giving a nod to nature with an underlying urban sophistication. 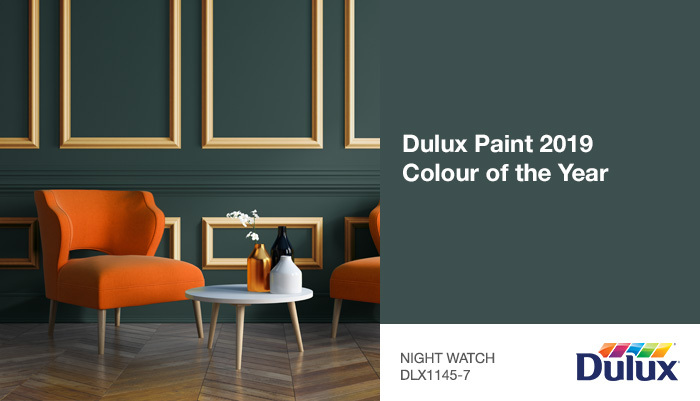 Person opinion if you’re wondering what paint colour will be trending in interiors in 2019, Hotshot Construction would argue its: Dulux paints – Night Watch! We would like to note that the versatile shade would work best for features. PPG suggests using Night Watch for an accent wall in a dining area or bedroom, even pairing the shade with a gold-hued to create a elegant accent. Not to be outdone on just the interior painting side, we have a great example of Night Watch for exterior painting. Regardless of interior or exterior if you’re lacking a good view or connection to the outdoors, the luxurious green shade is ideal for you. 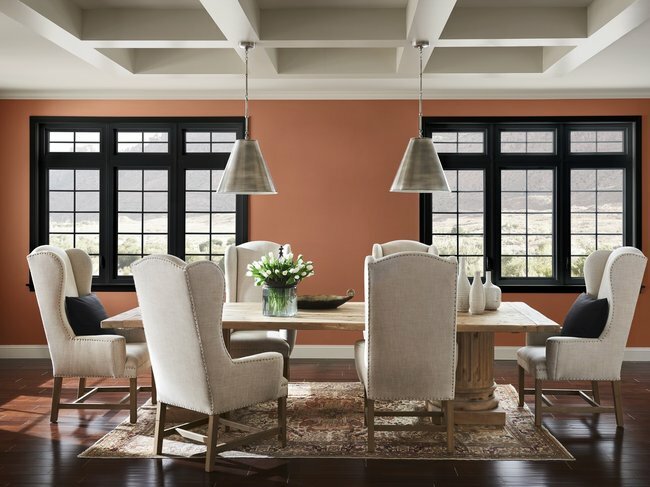 Moving on to Sherwin Williams who has been around paint trends for over 150 years, we’ve trusted them to find the perfect shade for a lot of rooms in our homes. So Hotshot Construction looks forward to everytime they make their yearly announcement for interior painting. This being the ninth year that Sherwin-Williams has made an official selection for color of the year. And this year they picked Cavern Clay SW 7701 as its 2019 Color of the Year! 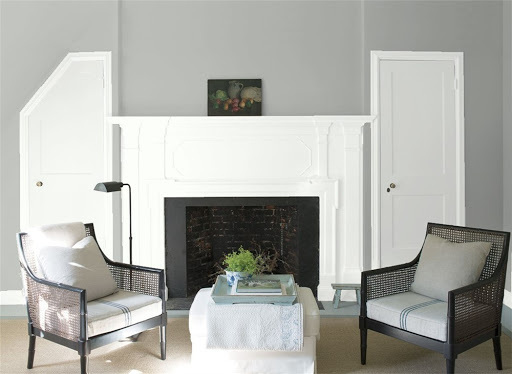 Benjamin Moore, North America’s most popular paint supplier and colour and coatings brand. They hosted an exclusive event held at The Grill & The Pool at the Seagram Building in New York on Montvale, NJ – October 11, 2018 to top leading interior designers, architects, painting contractors and influencers. In honour of its highly anticipated Colour of the Year for 2019 – and they brought us Metropolitan AF-690, a styling grey with smooth undertones. Unfortunately, we don’t have any fantastic examples of this colour being used just yet. Just a fact from it being quite on the new. However, you can certainly expect to start seeing it pop up more in featured designs of the new builds and any renovations and refreshes being done this year for 2019. It seems 2019 is moving in a more earthful and naturally lively when developing these new shades. From powerful deep greens to the soft cavern clay of Sherwin Williams, companies are connecting the dots between digital engagement, mental demands and consumers’ home lives, which inspired many of the color picks this year. Hotshot would like to remind our readers that if your looking to get a head start on current trends these would be the best place to start for a refreshing home look. As always anymore inquiries or questions always feel free to call or message us, we’d be happy to help!